There’s a lot to consider when it comes to putting your home on the market. From the first time you engage an agent, all the way to the sale date, the rush of preparing your place can leave you stressed and putting off the things that matter most. For a prospective buyer, first impression is everything. All Purpose Removal’s fully integrated Premoval service will help you showcase your home’s best features to ensure you’re putting your best foot forward. With Premoval, you engage with your removalists at the point of preparing your house for sale. Not only will our house removal service take the hassle out of relocating, our team will also assist in the decluttering process. We’ll help you get the house looking its best and increase the likelihood of achieving your desired sale price. Our Premoval process has three simple steps involved to ensure you’re presenting your entire home to its full potential. Declutter – We’ll help clear away the clutter. Our rubbish removal and yard tidy service means your home will be looking spick and span, inside and out. If required, we can deliver a skip bin to your premises and help you with the first process of presale home improvement. Packing – We’ll carefully pack nonessential items to help give your home a more spacious feel before you open the door to prospective buyers. 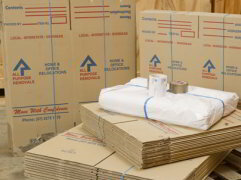 Our team is happy to lend you a hand with our professional packing services or if you want to save on costs, we can supply the materials for you to pack yourself. 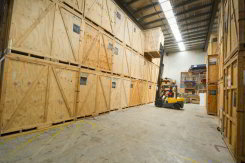 Storage – When the sale process is underway, we’ll arrange for up to 8 weeks of free storage for the contents of your home. No other company offers an option for furniture removal and storage in Brisbane quite like this! Rest easy knowing your belongings are safe and secure while you search for your new home. Once the sale is complete and you’ve got the keys to your new home, All Purpose Removals will have your belongings in transit, ready to be unloaded before the key is even in the lock. And of course, there are no hidden fees or sudden price increases. One of our experienced estimators will visit your home and provide you with a quote on a fixed-price basis. Once you’ve sold your home and have a confirmed moving date, your items will be loaded onto the truck to form part of your move so that when we arrive at your new home, we have all of your belongings ready to be unloaded. All Purpose Removals is the only removal company who offers a comprehensive house removal service in Brisbane and beyond. Contact us today for your obligation-free quote.